That's hilarious!! You'll have to blame the barking spiders next time!!! What a great story and I love love the eye ball...!!! All always a very fun visit...I even read it to cupcake who was very amused!! We are all that kind of silly around here too!! This is so funny! I grew up with 3 brothers, so I am very fond of Whoopie cushions! Ha ha, the fart will never get old will it. I will be sure NOT to mention the fart app to little miss or I will be subjected to the same horror. My whoopie cushion met with a nasty fate when I used it too much on my dad. I really love your eyeball, that really is cool and a fabulous painting of it. I always know where to come for a good laugh. Have fun and congrats to Phantom with the maths. LOL! We've never gotten into the whoopee cushion pranks in my family, but the girls and I do get into laughing hysterically about fart stories. My wife, who's the serious parent, thinks we are incorrigible. As always, I love your ability to interject your beautiful artwork with your antics. Blessings! Great 'talking' to you today! OMG!!! What a hysterical post! I know what you are talking about. We went through the whoopie cushion wars in this household too! I'm glad you and the family are having such fun with these silly pillows! Hope the dog survives it all. Am sure he will. It's so good to laugh! HPPF. Haven't seen one of these in a long time, and cute eyeball too! 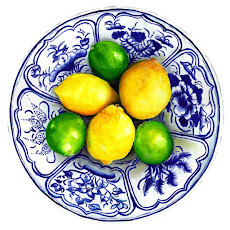 I enjoyed your post as always! :))) You sure are a fun Mom, Tracey. Hilarious! You are one super cool mum with great gift giving skills, not to mention an incredible artist. Wonderful post Tracey. 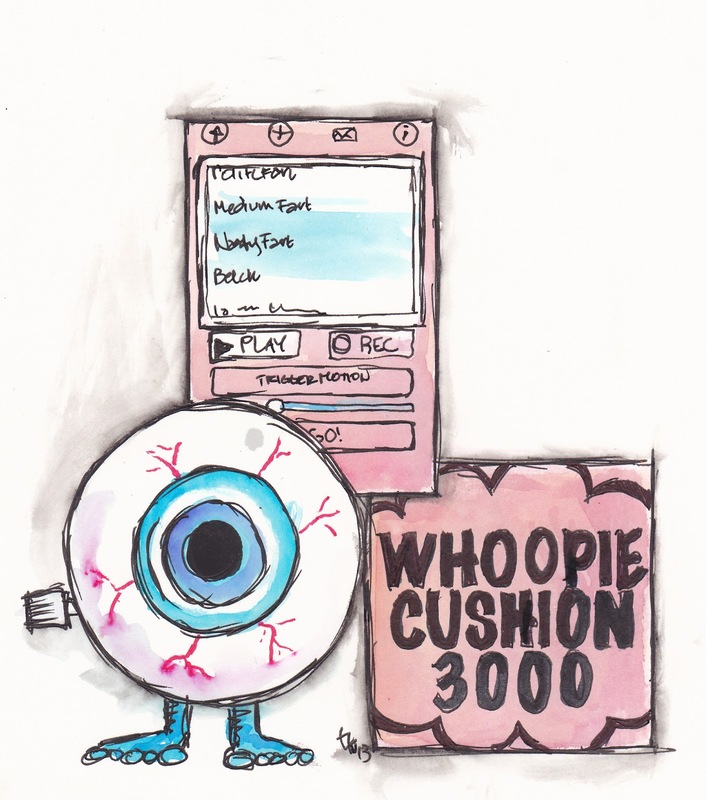 I laughed out loud at the thought of a zombie sitting on a whoopie cushion!! Lol! Sounds like a blast! Happy birthday to Phoebes! We once got Charlie a fart machine for Christmas. It was a contraption that you stuck to the wall and when ever anyone walked past it, it made a farty noise. There were lots of settings too; 'wet fart', 'squeeky fart', 'horsey fart' 'extra long n loud fart'... It was hilarious when the grandparents came round for a visit!! I don't know what ever happened to that machine - probably wore out! Anyway - a very amusing present and a wonderful illustration of events!! It sounds like there is never a dull moment in your house. The three of you have so much. My grandsons are spending the night tomorrow. Wonder where I could get a whoopie cushion. They would love it. Love your zombie eye. Just what we all need to have on our desk! 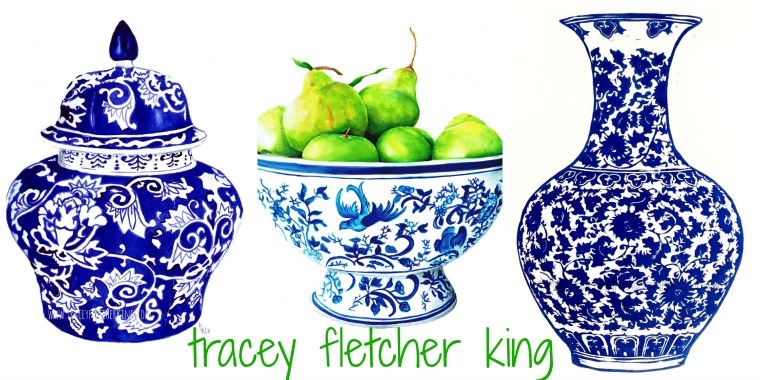 Tracey, your cup painting is beautiful. 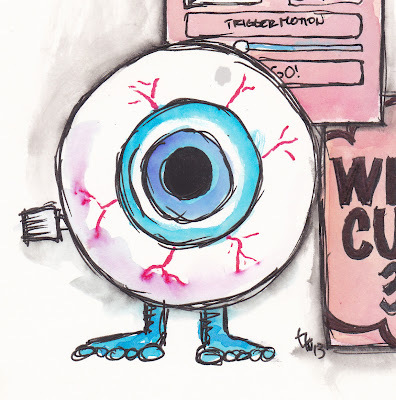 I'm not ready for a walking eyeball, though, although you really did a great job painting one. Your house must be where all the young folks love to gather since Phantom joins in on the fun. My daughter hated my silliness. Crackin UP! Will you adopt me? 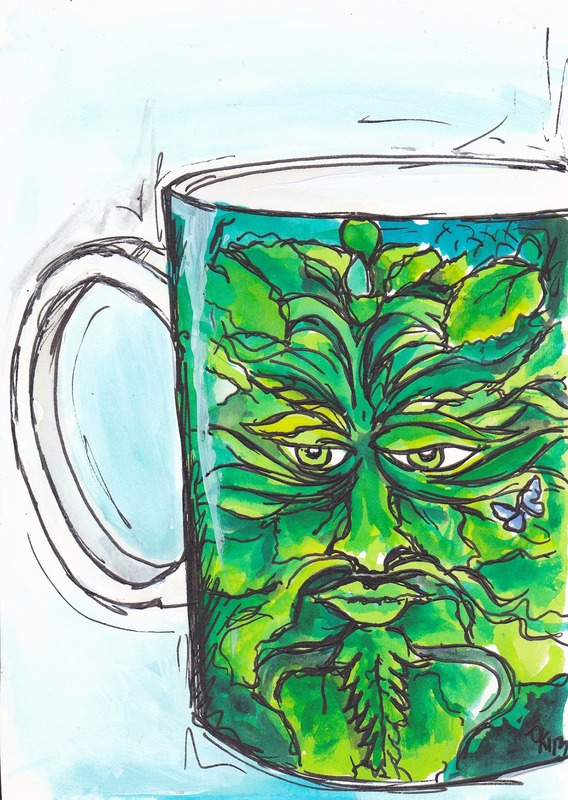 ~~PS Totally loving the Green Man mug! This is so fun. Love the eyeball!! HPPF! Glad I could provide! I will see if my kids can dig up an even better one so you can get the edge back in your arsenal of flatulent weapons! Oh my goodness! You have such a riot at your house. I love your drawings of your whoopie cushion wars, but the descriptions of it all have me spewing my tea over the keyboard. What a thoughtful and useful gift. I'm sure Phantom was duly appreciative. Not every Mom understands the nuances of gift giving to a teenager. Your superb drawing to commemorate the beauty of the gifts is truly a wonder to behold. I'm not normally a fan of toilet humour but I have to say I laughed as I imagined you all trying to out-fart each other so to speak!! The lengths you've gone to in your bid to get each other is actually hugely impressive! I love the zombie survival kit and am very intrigued by the rubiks cube lipgloss - photos please! Love your illustrations you nailed that gross but slightly cute glowing eyeball! 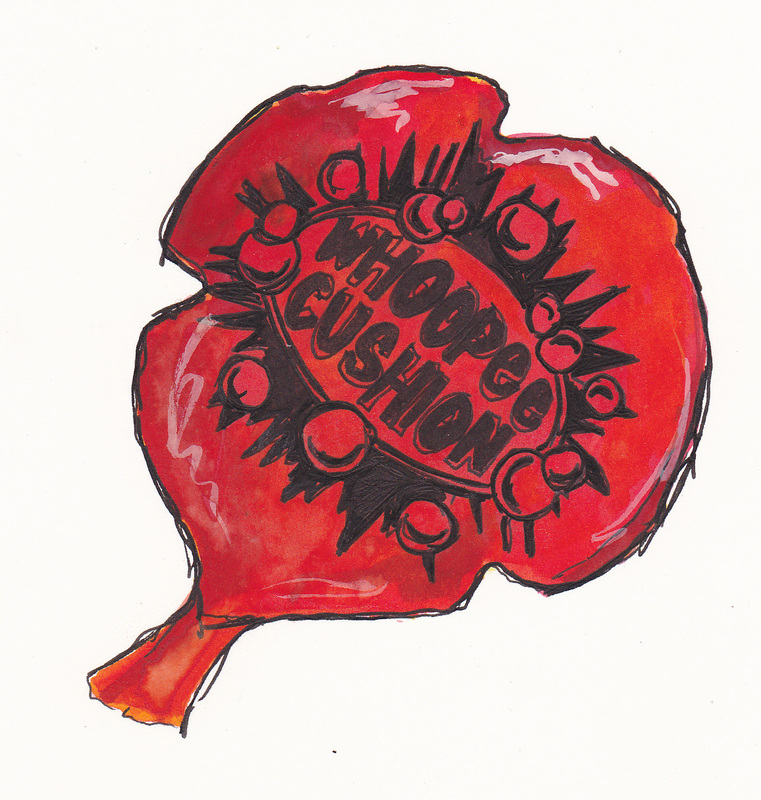 tracey I never heard of a whoopee cushion but i suspect it was one fun one for your family. A cool story of laughter for you guys I must say ;) Fun illustrations too! Whoopie Cushion wars??!!!! How awesome! Without even knowing you, I KNOW that I would love you and your family! Thanks for sharing this post with us!!!! I love you work, too. What a fabulous (and hilarious) gift idea! Happy week 2 of SOC! Oh, too funny!! I love the way you got the upper hand with the Whoopie Cushion App. Sounds like a fun time in your house! Sounds like crazily good fun - I love that the dog gets whoopied xD And what awesome presents you bought!! Cool post and cool art! The phantom strikes! Too funny! Love your art! Never a dull moment in your house!!! I think we need a whoopie cushion in our house! :D Thank you for yet another of Tracy's everyday adventures. I started what was meant to be a relaxed blog visiting time with smashing my art supply basket on the floor, shattered glass and everything on my sister's floor! A few remains will be removed when I'm finished with the visits!